Our dear friend Anna stopped by this weekend and brought us bags and bags of fresh persimmons from her friends tree. 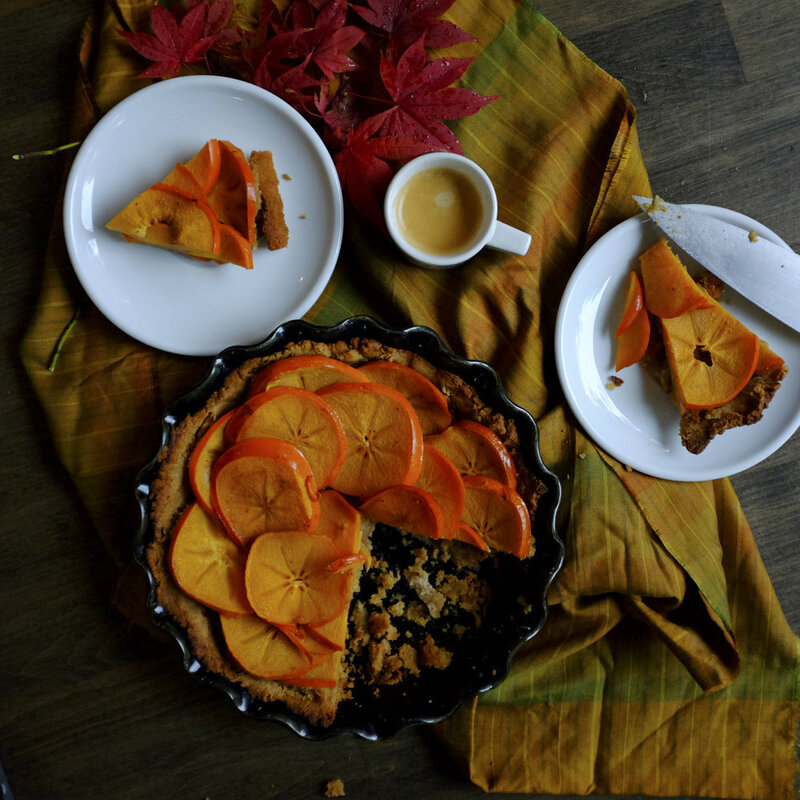 I've only has persimmons once before and I couldn't wait to bake with these beautiful fruits! With the holidays coming up I'm always looking to create new recipes that are tasty and creative! I jumped at the opportunity to bake with these beauties! Gluten-free and Dairy free pie is something that is really hard to find and I have another recipe for dairy and gluten free pie crust here! This time I went with an almond base to really counter the sweet tang of the fruit. And boy I think i am a fan of persimmons after this pie! 12. Remove your pie and eat with ice cream or plain!